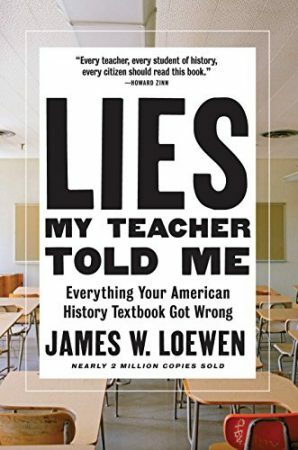 Lies My Teacher Told Me is a terrific book–informative, engaging and sometimes enraging, and frequently entertaining. In it, sociologist James W. Loewen takes a clear-eyed look at American history and a critical look at the way most textbooks teach it. I’m very happy to say that my next book will be a YA adaptation of Lies, to be published next year by The New Press. It was just the project I needed at this time of polarized viewpoints, truthiness, and “fake news”: a level-headed history of our country that gives young people tools that will help them become informed citizens. I can’t wait until the YA version of Lies My Teacher Told Me hits the streets. This entry was posted in Nonfiction, Writing and tagged History, Writing, YA Nonfiction on July 18, 2018 by Rebecca Stefoff.